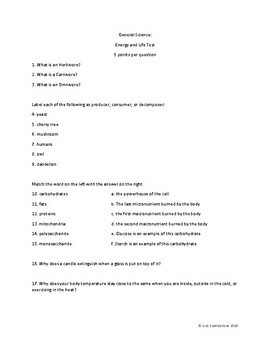 This test includes 20 questions and an answer key. 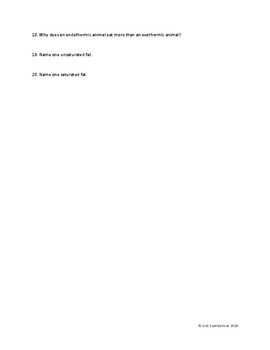 There are both matching and short answer questions. 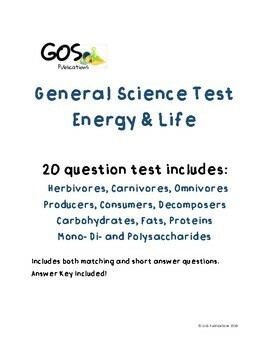 It corresponds with Apologia General Science Module 12 but can be used for any Science Curriculum that covers this unit.